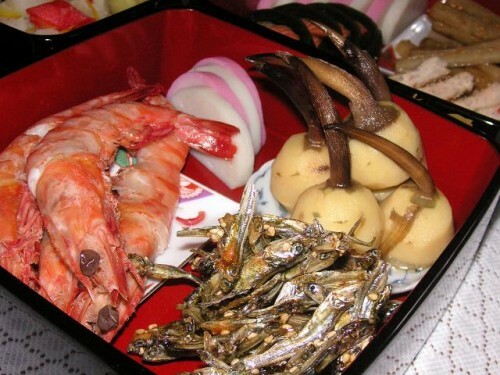 The first three days of the New Year – called “Shougatsu” – is a time to celebrate the New Year and a fresh start. 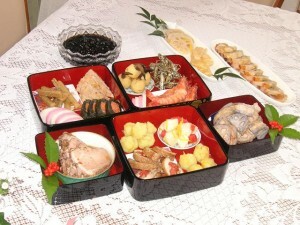 Special foods are represented by Osechi-ryori (New Year’s cuisine), which is served in Japanese lacquer tiered boxes. 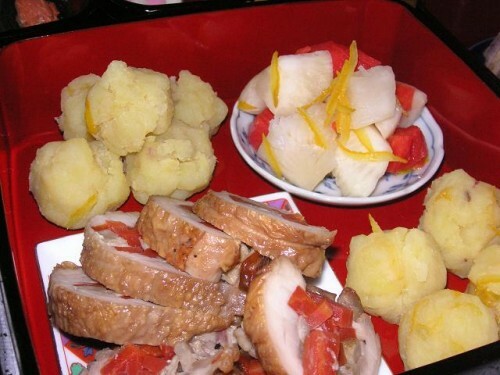 The foods are very typical and traditional and each has its own special meaning. 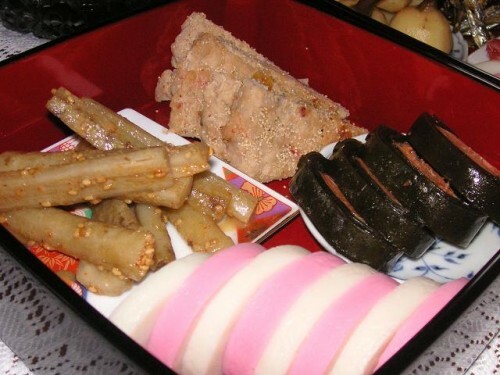 For example, Kazunoko (herring-roe) symbolizes prosperity, Kuromame (sweet black beans) symbolizes diligence, Kobu-maki (konbu kelp rolls) signifies longevity, and so forth. 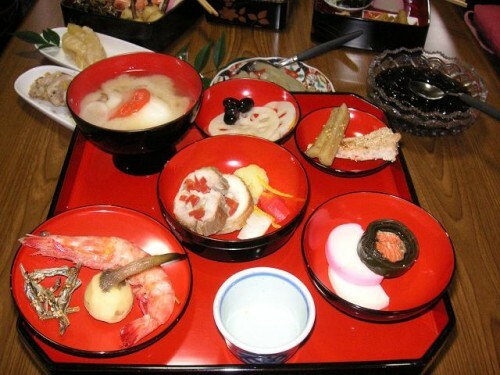 Along with this, we eat special soup – Ozoni(rice cake soup)during these first three New Year’s days. 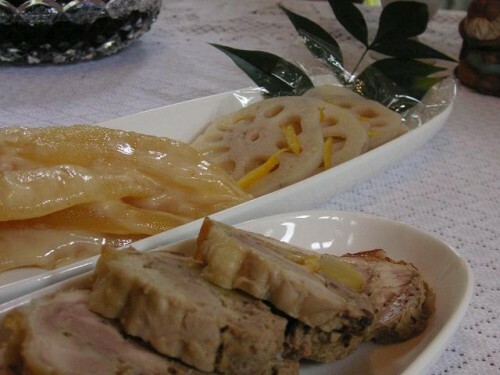 Each of the ingredients is unique to each district. 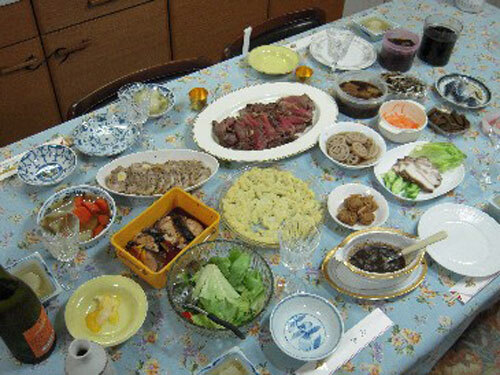 This tradition has been introduced that allows housewives to be able to relax for at least the first three days of New Year’s days.